As a caregiver, one the most important things you can do for yourself and for your aging parents is to have a conversation with them about their legal, medical, and financial affairs. It is often left up to the children to address these issues and get the ball rolling before a crisis is upon the family. A story was told about three daughters who tried to have that talk with their mother, but she would always avoid the topic by steering the conversation in a different direction. Their mother then passed away unexpectedly after at the age of 74 after falling down a flight of stairs. Since the conversation never took place, they were left learning that their mother had a mortgage on her house and the bank which held it could not divulge any information to the daughters without a death certificate. The girls found some items where they expected to find them, but then they found their mother’s insurance policy in a knitting bag.¹ Situations like these create frustration and stress as children try to handle the affairs of others before and after their parent’s death. Often relatives are capable of setting their loved one’s affairs in order. Other times legal, medical, and financial help is needed to obtain the correct advice and documents. A legal specialty called “elder law” helps families find specific help and advice to ensure their health and wealth is protected from upcoming legal issues, medical decisions, and money questions. An elder care attorney can usually help you see through your parent’s information. The result is an efficient approach to get you going in the right direction. Some families utilize their doctors, their financial advisers, and their own personal attorneys to reach the same goal. Different states have different laws and procedures for end-of-life planning, so it is always best to check what the laws are in your state as some may require a witness, a notary signature, or an attorney signature. No matter which route you choose, be proactive. 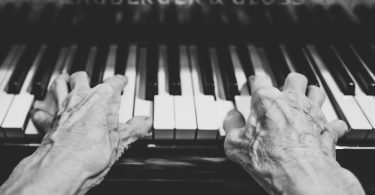 With so many terms related to elder care planning, I have chosen to give you a list compiled from various sources that will help you know what might be needed in your own situation. Sometimes the three areas of legal, medical, and financial overlap and other times an issue will fall directly under one category. Will/Trust – It is essential to have an up-to-date will and/or trust that designates financial, estate, and legal control and distribution. You and/or the elder may have few assets, but even with simple estates, it is generally advisable to have an attorney create a document that will protect the elder’s wishes about his or her estate. Many people confuse a will with a trust. They both create designations for one’s assets. Elder Law Answers, a long-term care and planning resource website, distinguishes the two by stating that the main difference is that a will and a trust is that a will goes into effect only after you die, while a trust takes effect as soon as you create it. A will is a document that directs who will receive your property at your death and it appoints a legal representative to carry out your wishes. By contrast, a trust can be used to begin distributing property before death, at death or afterward. Durable Power of Attorney (DPOA) – A document that grants a person or persons (“Attorney-in-fact”) the legal powers to perform on behalf of the elder (“Grantor”) certain acts and functions specifically outlined in the document. This power is effective immediately and continues even if the grantor becomes disabled or incompetent. The powers usually granted include real estate, banking and financial transactions, personal and family maintenance, government benefits, estate trust and beneficiary transactions. Advance directives are for people of all ages who might face any medical emergency or crisis. By maintaining up-to-date advance directives, you can be sure the medical treatment you want is carried out. It also relieves family members from making the gut-wrenching decisions that might occur in emergency situations. Be sure your family knows where these documents are and keep them in a handy, accessible location. Ventilator Use – Ventilators are machines that help you to breathe. A tube connected to the ventilator is put through the throat into the trachea (windpipe) so the machine can force air into the lungs. Putting the tube down the throat is called intubation. Comfort Care – Comfort care is anything that can be done to soothe you and relieve suffering while staying in line with your wishes. Hospice Care – [Provides] comfort to you and your family during a life-threatening illness, rather than provide treatments to cure the illness. Palliative Care – [This is] similar to comfort care in hospice, but it is offered along with any medical treatments you might be receiving for a life-threatening illness. Durable Power of Attorney for Health Care – A legal document naming a healthcare proxy, someone to make medical decisions for you at times when you might not be able to do so. 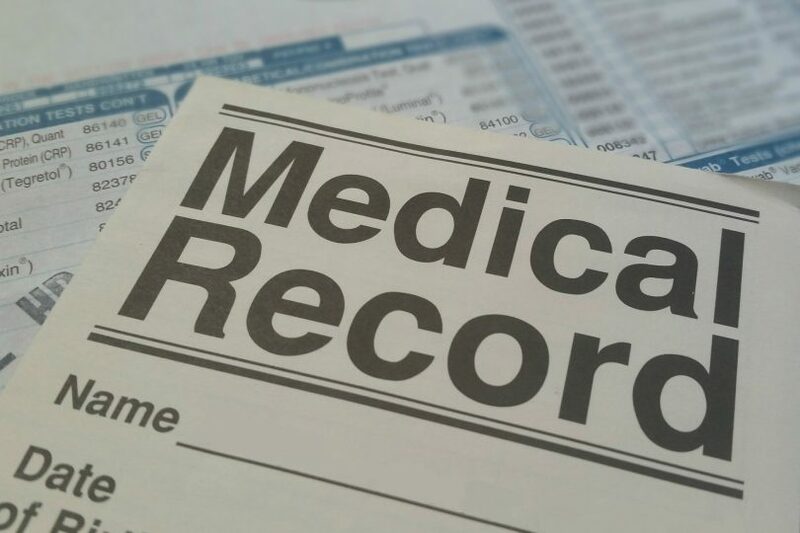 To have access to your loved one’s medical records, written permission must be given. Doctors, hospitals, other providers of healthcare have HIPPA release forms for their patients to sign. These release forms authorize all or some medical information to be disclosed to other individuals or organizations. Checking to be sure you have access to your loved one’s medical records is important. The time may come when the elderly parent is not able to handle their own finances. This could be due to mental or physical impairment, visual difficulties, falling prey to scams, or the death of a spouse who handled the finances. Don’t be afraid to step in to be sure financial losses do not occur. With the advent of the computers, the elderly may easily transfer money, buy or sell stocks, or give money away without a family member even knowing. You may need to assess the situation and find out what tools will help prevent unfortunate situations from occurring. Joint Accounts – The elder can add you or another relative to a checking account as a joint account holder. This makes you a joint owner of the funds — both you and your loved one can withdraw and deposit money and write checks. It allows the elder to maintain some independence and control and allows you to keep an eye on things, pay bills, and handle some (but not all) financial affairs. Single-Owner Accounts with an Authorized Signer – Your older relative can add you as an authorized signer on a checking or savings account, without making you a joint owner. This means you can write checks and withdraw and deposit funds. However, because you are not an owner of the account, all transactions must be made on behalf of the elder. Automatic Payments – You can ease the bill paying burden by helping your older relative set up electronic automatic payments or withdrawals for monthly bills. Representative Payee for Social Security Benefits – The elder can designate you as their representative payee for Social Security benefits. A representative payee receives the Social Security benefit checks and is responsible for using the funds on behalf of the elder. In addition, if your loved one has an Individual Retirement Account (IRA), stocks, mutual funds, or other accounts with financial institutions, a call to those businesses might be in order. They will be able to direct you as to handling the daunting situation you may be facing with your parent’s financial matters. Let’s face it: you may not feel equipped to initiate a conversation about the legal, medical, and financial decisions that you may encounter. But, when we approach our elders with kindness, listen to their opinions, and let them know that we are on their side to help them to make these decisions, we can proceed with confidence that we are carrying out their desires. Lord, thank You for the many resources where I can find information to help me with my parent’s legal, medical, and financial needs. Make me aware of information that is pertinent to the care of my parents. I truly want to be the best caregiver I can be. I need Your guidance and help. Let me love like You loved. Let me serve like You served. In Jesus’ Name. Amen. Edited by E. Johnson; Bible verses are taken from the NASB if not noted otherwise. ¹ Siegel Bernard, Tara. The Talk You Didn’t Have with Your Parents Could Cost. New York Times, 24 May. www.nytimes.com. Accessed 22 April 2017. ² Caring for Your Parents: Legal Issues, PBS, pbs.org. Accessed 22 April 2017. 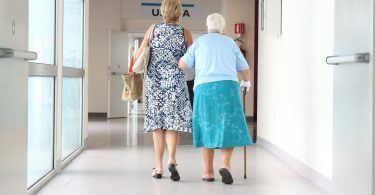 ³ Advance CARE Planning: Tips from the National Institute on Aging. U.S. Department of Health and Human Services. WEB. Accessed 22 April 2017. ⁴ Michon, Kathleen. First Steps to Managing an Elder’s Finances. nolo.com/legal-encyclopedia/helping-seniors-manage-money-finances-32268-2.html. Accessed 22 April 2017. If you found this post helpful, please like/share it so others can get the benefit. Thanks. If you would like to receive email notifications of new posts or to receive monthly newsletters, please click here and scroll down on www.GreenePastures.org to subscribe. Patti Greene is the author of three outstanding devotional prayer journals, Answer Me, Anchor Me, and Awaken Me and a book titled "Christian Caregiving: Practical Advice for a Happy Ending." 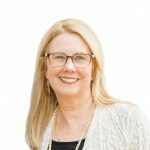 Patti earned a bachelor’s degree from Baylor University and pursued graduate studies in religious education and library science spending two years as a second-grade teacher. After spending 12 years as a stay-at-home mom, Greene spent 18 more years as a school librarian in St. Louis, Missouri and Houston, Texas. When not writing books or blogs, Greene spends her time caregiving, reading, researching, and hanging out with her family and friends. Patti and her husband have three adult children and five grandchildren. Visit her blog at GreenePastures.org.